Treadle pumps, solar pumps and ram pumps take the pain out of getting water to wash, drink and water crops in remote rural areas, increasing crop yields and boosting incomes for poor farming families. Treadle pumps are used by individual families to pump form shallow wells, and cost around US $25 TO $40 to install. 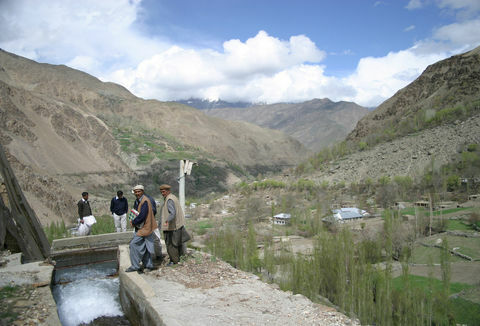 Ram pumps pump water from valleys uphill, by up to 200m and over distances of up to a kilometre, to whole communities. These cost around US $4,000 to 5,000 to install. 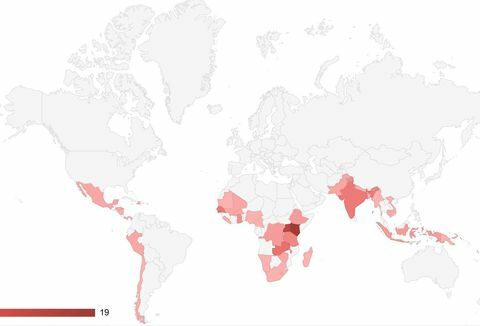 Over 250,000 treadle pumps and several thousand ram pumps are currently in use, with the use of solar pumps growing rapidly. Easy to construct and maintain, foot-operated treadle pumps dramatically cut the time and effort of collecting water. Farming families can grow two or three crops a year instead of one, with more money to spend on things like food and children’s education. One of the biggest organisations distributing treadle pumps is International Development Enterprises India (IDEI), which won Ashden Awards for its work in 2006 and 2009. 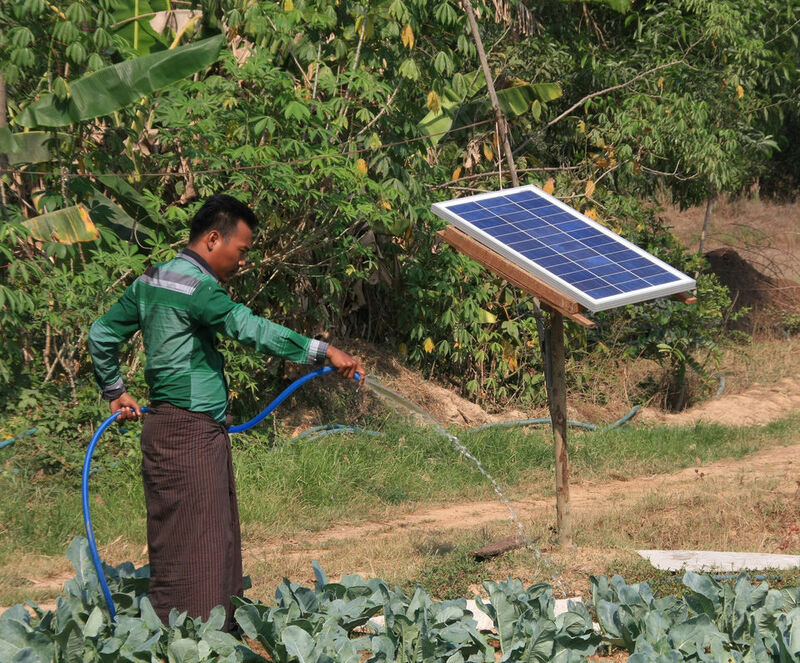 Proximity Designs won an Ashden Award in 2014 for its water pumping work in Myanmar, combining treadle pumps delivering water at pressure with elevated storage and drip-feed irrigation. For use in remote rural areas, it is important that a ram pump is reliable and easy to repair. One organisation that has made significant progress on both of these fronts is the AID Foundation in the Philippines, which won an Ashden Award for its work in 2007. It has since been working with partners to install ram pumps in Afghanistan, Cambodia, Costa Rica, Malaysia, Nepal, Peru, Thailand and West Timor. 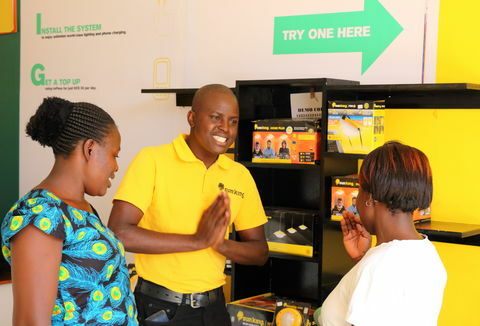 Farmers who previously hired diesel pumps for irrigation save money, because the annual cost of hiring and fuel is usually far more than the cost of a treadle pump – and the treadle pump is available whenever it is needed. A detailed study has estimated that a treadle pump which replaces diesel pumping saves about half a tonne of CO2 per year. 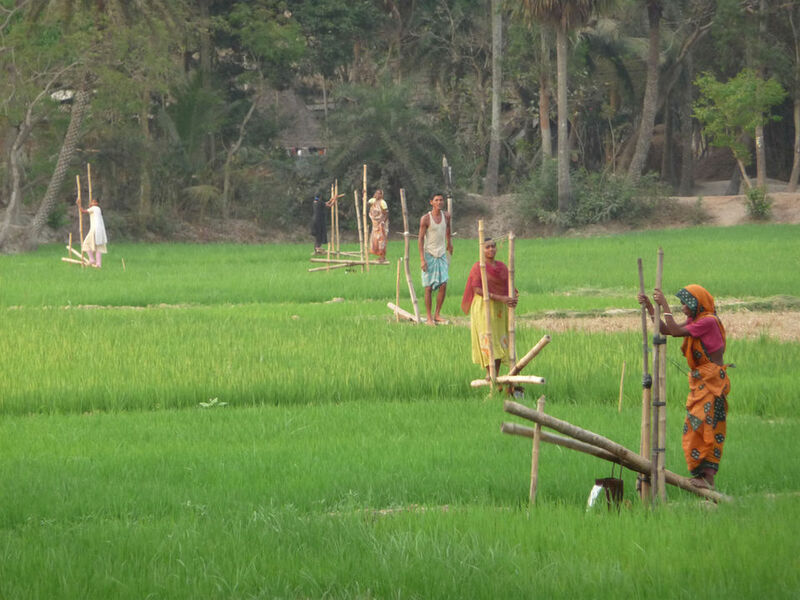 While treadle pumps are aimed at family use, ram pumps are more suited to supplying water to small communities that would otherwise have to collect water by hand or rely on diesel or electric pumps. Installing a ram pump provides a village with a cheap and reliable supply of water for both domestic and agricultural use, allowing improved hygiene, irrigation of crops and sometimes new enterprises, such as fish farming or animal husbandry. A treadle pump is foot-operated, with the user driving a pair of pistons to pump the water. Most treadle pumps in use are suction pumps, which can raise water from several metres below ground up to the level of the pump. 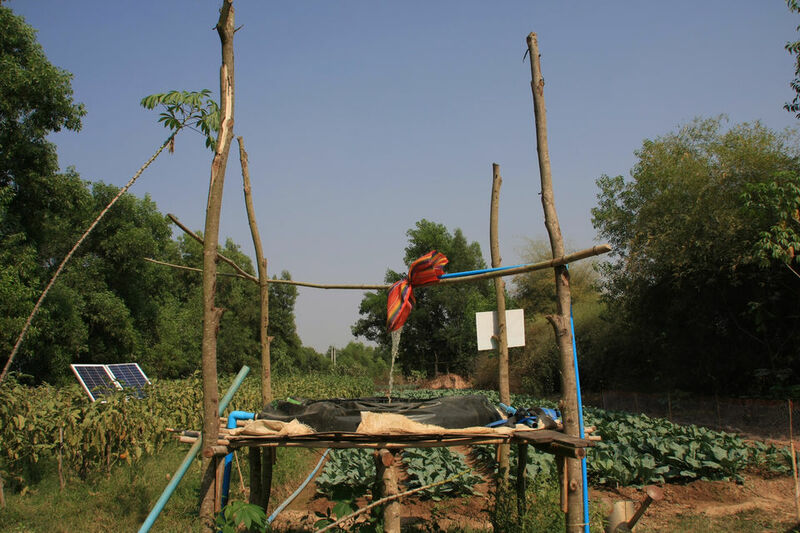 Some treadle pumps are also able to produce water under pressure, and this allows it to be sent uphill, through long horizontal pipes, or lifted to elevated tanks for running drip irrigation. The user stands on two treadles, which can be made of bamboo, wood or metal, and pedals them, alternately raising and lowering pistons in two metal cylinders. The treadles extend beyond the piston rods, to act as counterweights to push the pistons back down. A non-return valve is used in each piston and at the base of each cylinder to ensure the water only flows in one direction. For pumps delivering water under pressure an extra non-return valve is required for each cylinder. The pair of cylinders is connected to a tube-well, or to a surface level pond. A tube-well is a robust, flexible plastic pipe, sunk into the ground until it reaches an aquifer, with a filter on the end to prevent silt entering the tube. Before first use, water is poured into the cylinders to ‘prime’ the pump. When the user pedals, water is lifted up onto the field, or into a pond or irrigation canal. Ram pumps use the potential energy available in water flowing down through a drop of a few meters to lift a small percentage of that water to a much greater height. Ram pumps can be made in a range of sizes, delivering flow rates from just a few tens of litres per day to thousands of litres, lifting the water by up to 200 metres and pumping it over distances of up to one kilometre. Water is allowed to flow down the drive pipe and out of the waste valve. As the flow of the water accelerates, the waste valve is forced shut, causing a pressure surge (water hammer) as the moving water is suddenly brought to a halt. The pressure surge cause the check valve to open, allowing high-pressure water to enter the air chamber and delivery pipe. The pressurised air in the chamber helps to smooth out the pressure surges from the ram pump and ensure a continuous flow through the delivery pipe. As the pressure surge subsides, the pressurised air in the air chamber causes the check valve to close, and forces water up the pipe. The closure of the check valve reduces the the pressure in the ram body, so that the waste valve opens under the pressure of its own weight, and the pump is returned to the beginning of its cycle. The ram pump is installed well below the intake, where water is taken from the stream. The intake has a catchment tank, which is used to ensure a smooth supply and eliminate any debris, and feeds water into the drive pipe. The delivery pipe is routed from the ram pump to where the water is needed. Treadle pumps sold by IDEI cost between US$13 and US$40 including installation, with an additional US$11 for a tube well. This cost is easily recouped by the increased income from one extra irrigated harvest. The annual cost of maintenance for a treadle pump is less than US$1, and the pump will last for about eight years, although some have operated for much longer than this. The Proximity Design treadle pumps cost from US$16 to US$40. Ram pumps are more expensive, but they supply water up a high head and for a large number of people, and do not require the physical effort that a treadle pump needs. A ram pump to supply a community of 300 people in the Philippines costs typically US$4,000 to US$5,000, which is often very cost-effective compared to the alternatives. For reliable operation, a ram pump needs to be checked daily, with maintenance and replacement of valves every three to six months. The AID Foundation trains community members as pump technicians, and families receiving water are charged a small monthly fee to pay the technicians and cover the cost of maintenance. The valves are based on door hinges and rubber from old car tyres, to make it easy for remote communities to source replacement parts. The main technological developments in treadle and ram pumps over the last few years have related to improving their durability and making them easier to maintain, while keeping their cost low. 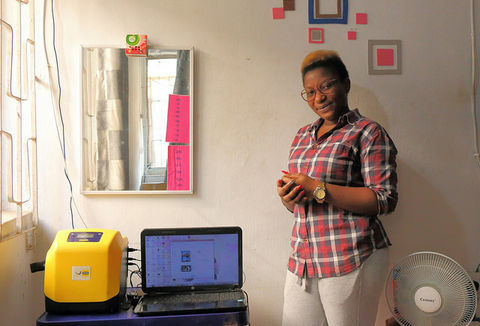 Proximity Designs is also working on solar-powered water pumping, which will relieve people of the work of operating the pumps. AID Foundation is working to spread the use of their ram pumps to other countries, and make people aware of this old technology that has been brought up-to-date.